Pardon me for splitting hairs, but does that intend to include the S models? The model codes indicated seem to specify the non-S C63 variants. I sent a reply back to my dealer for clarification/confirmation. I grabbed their first allocation, so he knows I’m looking for news about the S. Unless he misunderstood the notice himself, I trust this means all c63 models. This notice came out of the US south regional directors office, so it might me good to get a 2nd source of confirmation from another south region dealership. Yes! Mine was in southern region "VPC: Brunswick". Hopefully be delivered next week? Wow you have an early car. I thought mine was early- mine arrives to the US on Thanksgiving. Could you share when when your car was built, and when you ordered it? I ordered a C63S coupe the first day allocations opened up back in late June, and production occurred on October 30. Last edited by 348SStb; 11-19-2018 at 09:35 PM. I'll call after Thanksgiving weekend and see what's up. I ordered a C63S coupe the first day allocations opened up back in July, and production occurred on October 30. I ordered mine in July but mine is a Sedan, build date was November 3rd I believe. I was told the sedans are being built here in the states and coupes coming from Germany. Dealer told me mine was built in and coming from Atlanta. I ordered my coupe in early August, actually. Built Nov 1 and put on a boat due to arrive on the 21st at Brunswick (on the vessel "Brooklands"), but I'm sorta doubting that based on the AIS (of course I've been tracking it). I figure 2-3 weeks after arrival in US to get it to my dealer in Dallas. Hoping for a mid-Dec pick up. I'm in Dallas, a fair distance from Brunswick, GA. I figured a week through customs then 1-2 weeks to truck it over here. I'll be VERY happy to be overestimating that! Wholesale activity and shipping of these vehicles will commence Tuesday, 11/20/18 for all Regions. 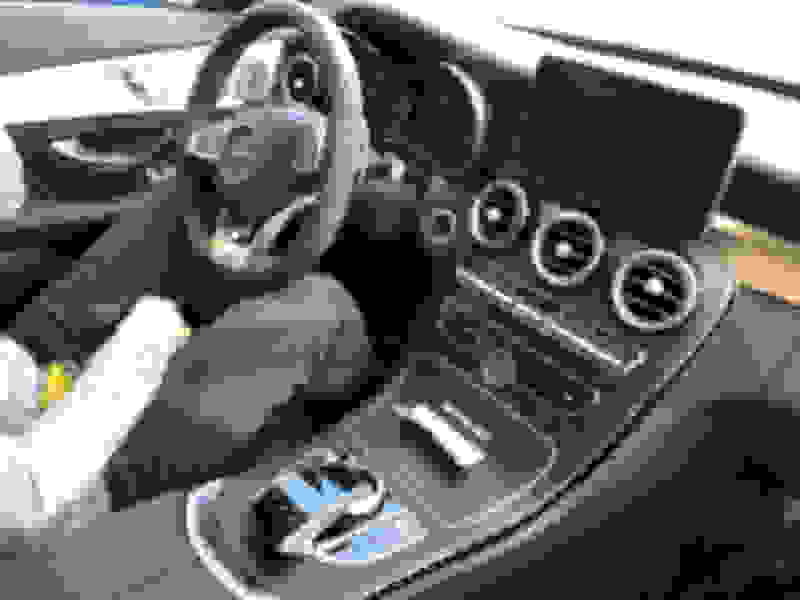 Dealer confirmed that the launch is ALL C63 models, including the S.
Not exactly sure what your question is ... did you mean to post a pic so we could identify the color for you? Just got word that my build date is tomorrow (11/22) and car will be on a ship on 11/26. Hope to have it a few weeks after that! I hope there's not another "delay" tomorrow. Ask your dealer to email you the Dealer Ordering Guide for 2019 C-Class (I believe page 33 of 66 is the beginning of the AMG models). There you will find pictures of colors, color names, and their numerical codes. Mine is a black sedan, and that is 040 off the top of my head. My dealer just called to tell me that my 2019 C63s Coupe is now at the dealership and ready for me to pick up. I’m away for the holiday and won’t be able to get there until Tuesday. Wow, congrats! Coupe or convertible? If you care to share, I am curious to know which port and what approximate dealer location? it arrived in Brunswick GA on the 6th and was held until the 20th. Dealership is in north Alabama. The boat with my coupe to Baltimore port was scheduled to arrive today, but it’s been pushed to 26th. Wonder if the vehicle will arrive on Long Island as quickly as yours arrived. Post some pics and a review when you can!! For those who have had their cars built and delivered (from Germany), how long did it take from the day the car was built to the day it arrived in port? Mine will be arriving in Baltimore if that helps. my coupe was built on the first but didn’t leave port until the 10th. It was due per netstar to arrive on the ship "Brooklands" on the 21st in Brunswick, GA but now looks like it’s destined to Davisville (outside Providence, RI) first and not making port there until this evening, apparently. I'm speculating Brunswick is its next stop (or maybe Baltimore then Brunswick?) Anyway, I don’t expect to see hear it’s arrived at the VPC until the 30th, but I look forward to being pleasantly surprised. Last edited by CrashTX; 11-24-2018 at 03:11 PM. Black Ash is the better choice as it does not look bad with fingerprints right away. Its dull finish looks great. I’ve more than once seen defects in the fiber weaves both in the carbon fiber trim pieces and in the fiberglass trim pieces. The trim pieces on the C-class are quite large, so any imperfection will stick out like a sore thumb and might drive you mad. The black ash might be a blessing in disguise. The imperfections in the fiber weaves on Mercedes trim pieces are real. Porsche and Ferrari execute this perfectly in the cars. Mercedes is still a bit behind. Went to check out a leftover 2018 car with black ash trim and actually loved the look. In the C63S, the trim area isn't really very big (compared to cars like the E63S), so either CF or black ash work well as it doesn't really change the overall interior theme, especially with the cheap looking aluminum door trim. 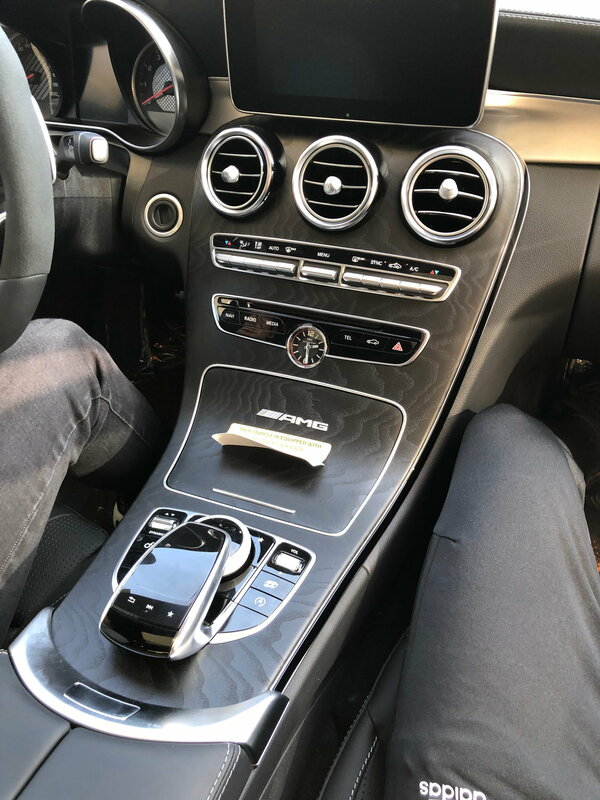 On the E63S, the trim has a much bigger impact on the tone of the interior just due to how much surface area it covers... CF for sure on that one. Pics below. Needless to say, went with the incoming 2019 black ash car. Arrives second week of January!! Last edited by Xec; 11-24-2018 at 03:58 PM.